Hi Everyone! 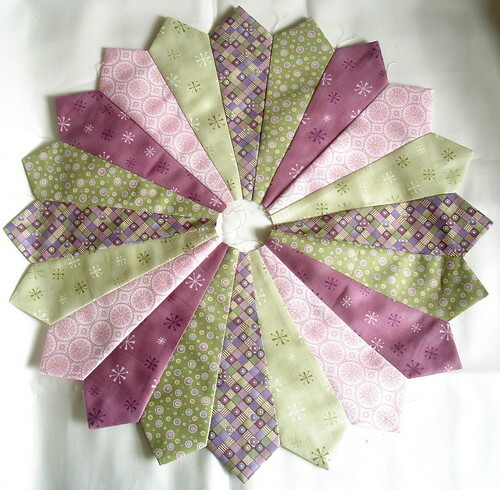 If you missed it – I posted the second tutorial for the Sew Intertwined QAL yesterday – you can get the tutorial here. I thought today I would share some of the amazing progress of the wonderful quilters who are sewing along with us! 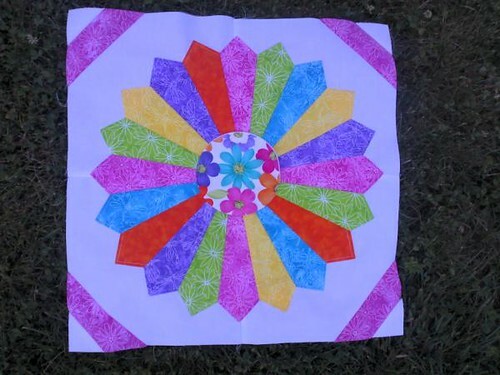 This one is from Revkez – Her colors all just POP! These are just a few of the finished Dresdens, if I posted them all this post would have gone on for ages! ), don’t they just all look so stunning! I can’t wait to see more. What amazes me most about this group is I posted the outer block tutorial 25 hours ago and there are already finished blocks in the group! You people are FAST!!! 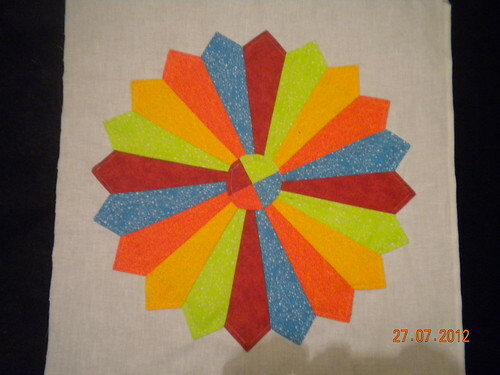 This entry was posted in Sew Intertwined QAL, SewHappyGeek. Bookmark the permalink. I haven’t even hand a chance to start on the next step yet. I’m crossing my fingers that I get to today. Those are beautiful!! I hope to be able to get started on mine by the weekend. Who would have known doll clothes could be so complicated! I went and signed up for a block swap so have to get them out of the way first (hopefully finish tonight), then I can get to work on the outside BB blocks. I figured them out while waiting for the post and got everything cut out. Just have to sew them together! 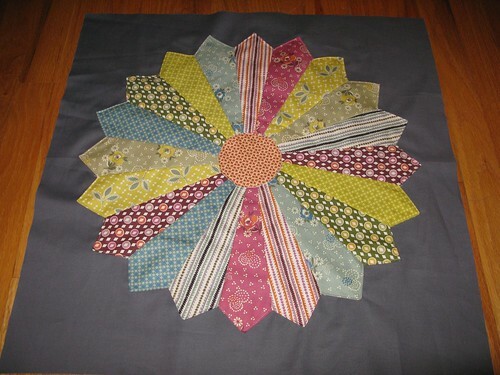 Beautiful Dresden blocks, thanks for sharing Melissa!